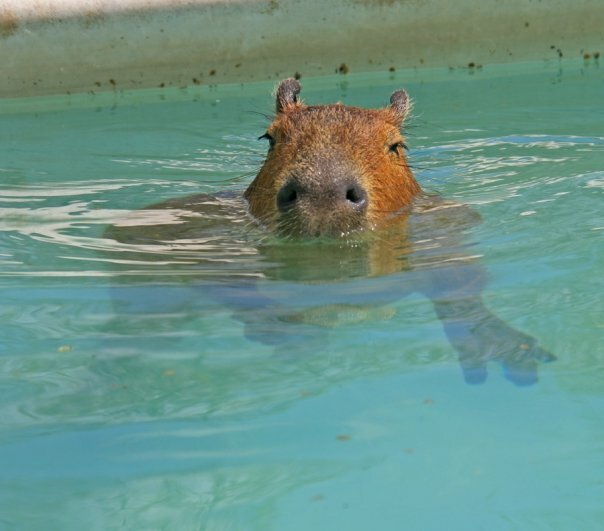 Let me start off by saying that the Pantanal is NOT the Amazon. 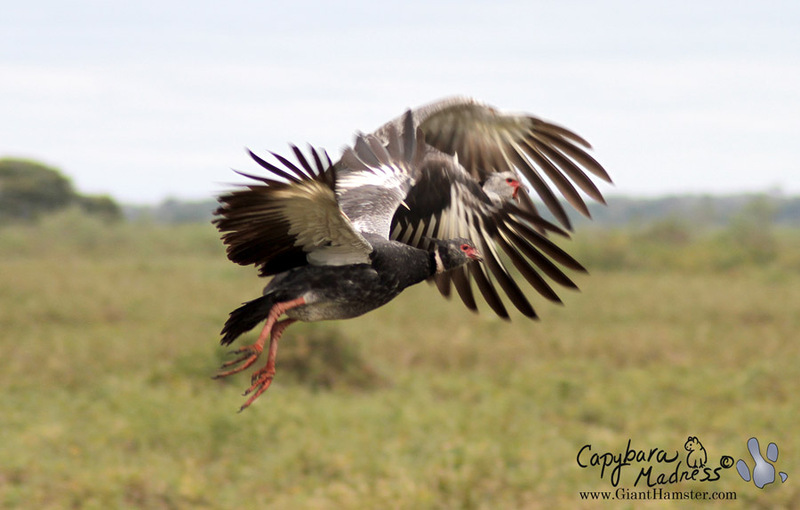 The Pantanal is located in south western Brazil and crosses the border into Bolivia and Paraguay. It is a vast seasonal wetland. The land is nearly completely flat, varying only from 260 to 460 feet above sea level over an area of around 60,000 square miles. 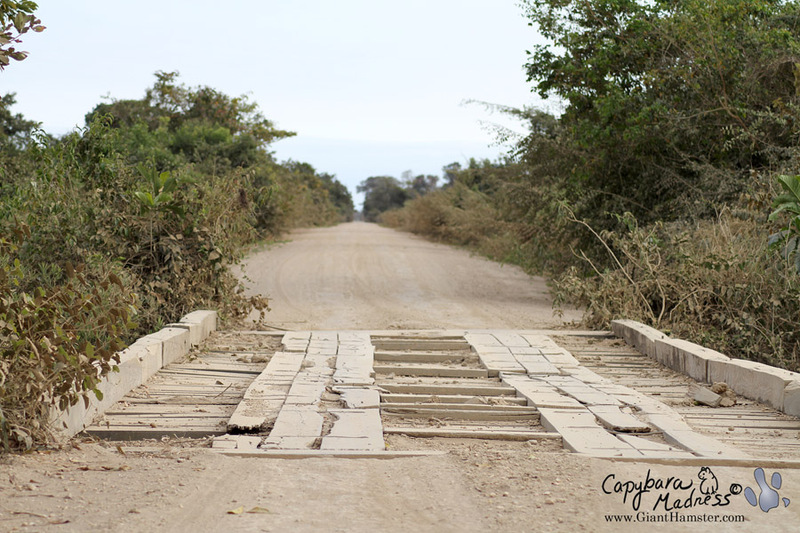 In the dry season, which is when we were there, the land is dry and dusty with a few large rivers. In the wet season nearly all the land is flooded with occasional low lying, treed islands. 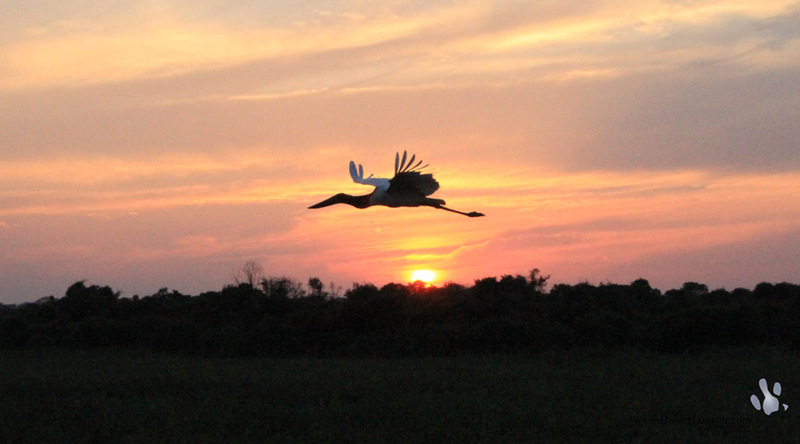 We spent 5 days and 4 nights in the Pantanal. 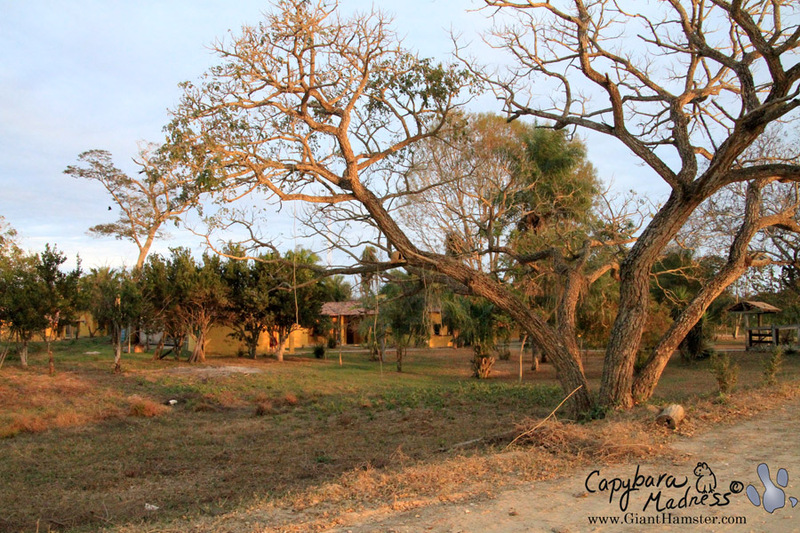 This blog post covers the first day (which was short since we arrived in Cuiabá in the afternoon) and into the start of the 2nd day. 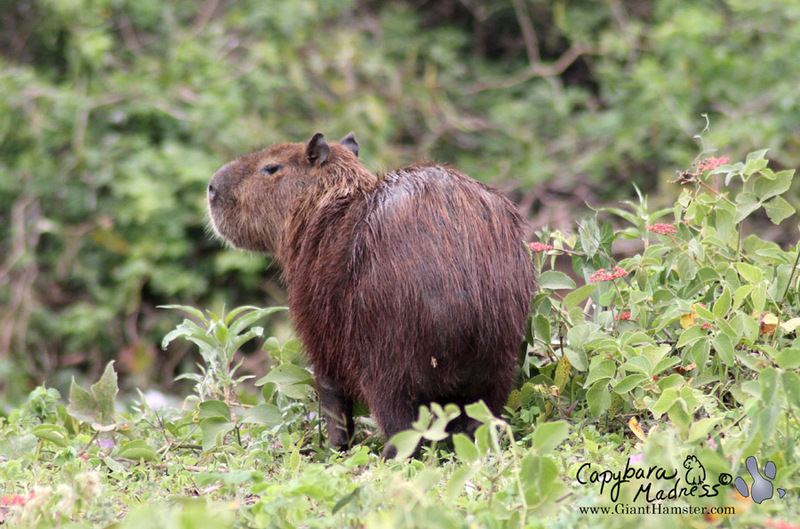 This was one of the first groups of capybaras we encountered. It is a female and two juveniles. The funny thing is that the two babies are of greatly different sizes. The one following the female is about half the size of the one in the lead. This could be because the female is not the mother of both juveniles. 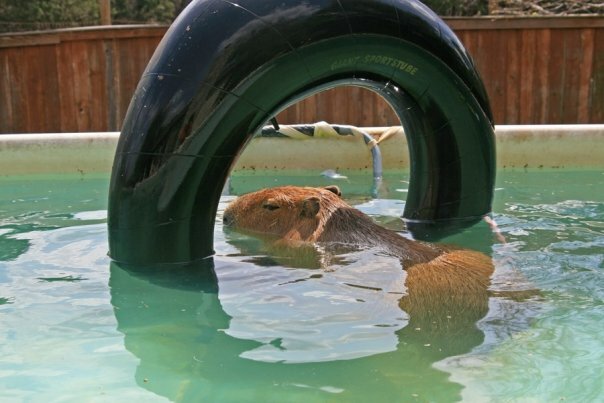 Capybara mothers will care for any babies in their band, not just their own offspring. Or it could be that the little one is a runt and has failed to grow for some reason. The birds are great egrets with a Jabiru stork. I’m not sure what type of birds these are, possibly wood or Jabiru storks. 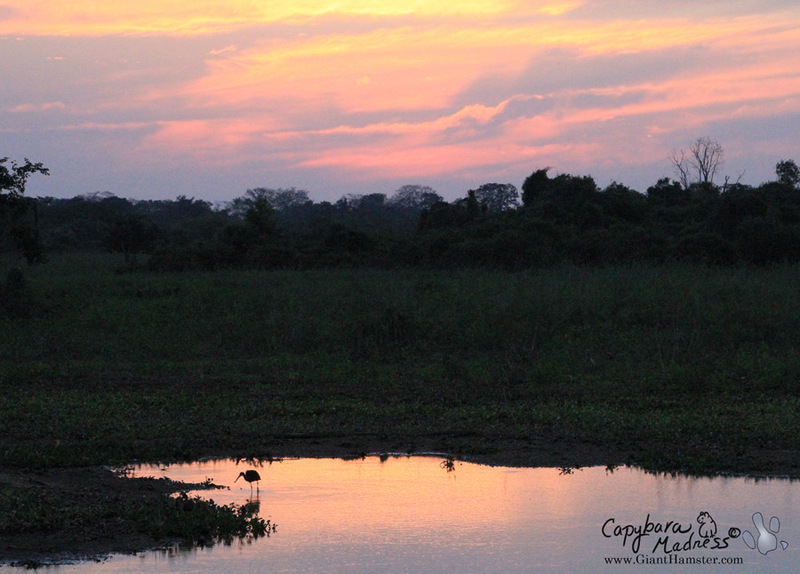 The sunset was beautiful but I hated to see our first day end with us just barely inside the boundaries of the Pantanal. The long drive in the dark was not uneventful. We got to see two crab eating foxes and a crab eating raccoon. My photos of them are not worth sharing but the experience was wonderful nevertheless. Ailton was able to call to them so they came out on the road where we could view them clearly. This is where we stayed for the first two nights. It was bitterly cold those two nights and the rooms were unheated. We had plenty of blankets so it wasn’t too bad sleeping but we still had to face a frigid, overcast day for which we were sadly unprepared. This is one of the birds whose calls woke us up in the morning. 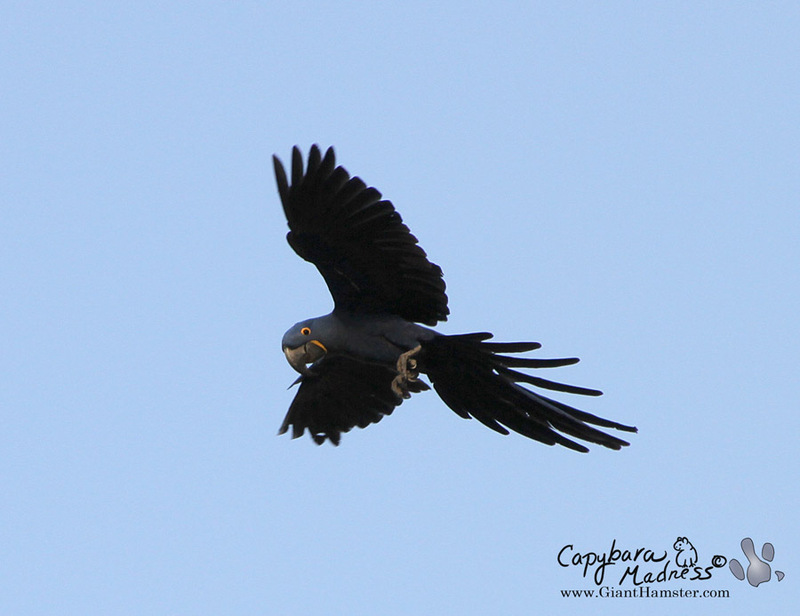 There was a whole flock of hyacinth macaws right outside our window. These are the largest parrots in the world. The only other macaws we saw on the trip were blue-and-yellow macaws and I didn’t get any photos of them. I don’t know what kind of bird this is but it is eating a spider. I still don’t know what kind of bird it is but it is just too cute. Also, note the flowers. 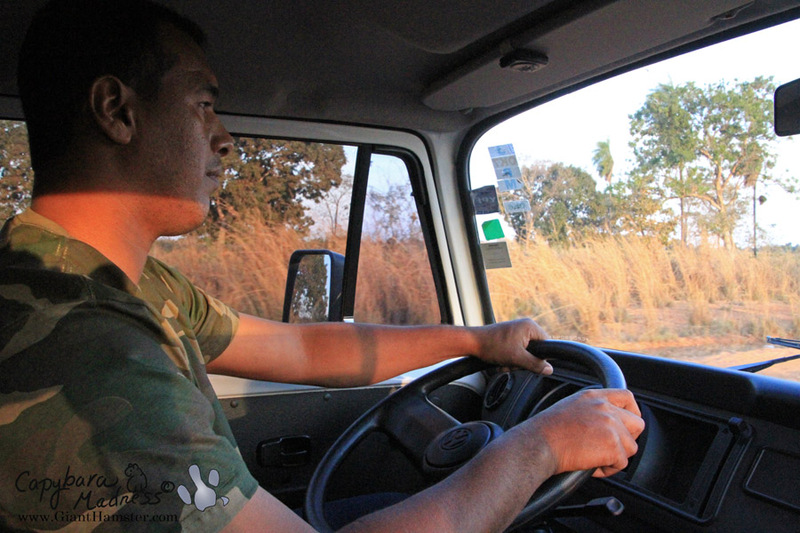 As we were their during the height of the dry season, we did not see many flowers. 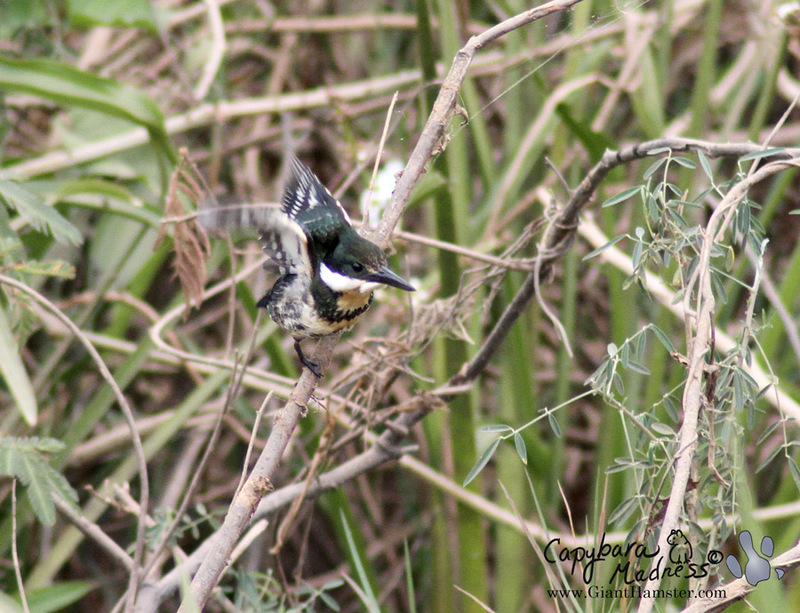 I have traveled quite a bit but I have never been to a place where it was so easy to see kingfishers. 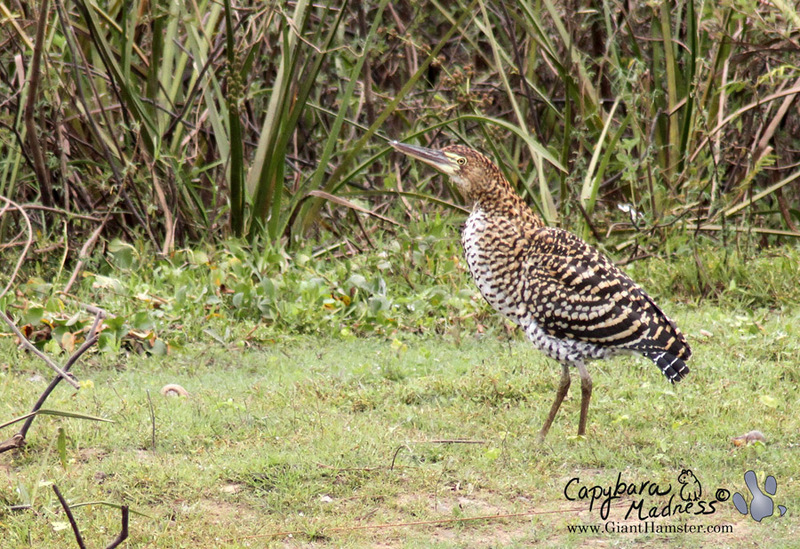 I love these birds and the Pantanal has several species. 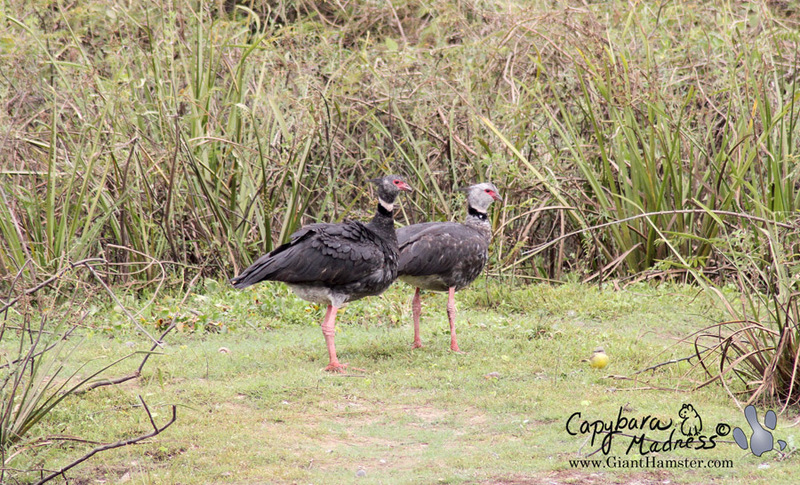 These are large, turkey sized birds. 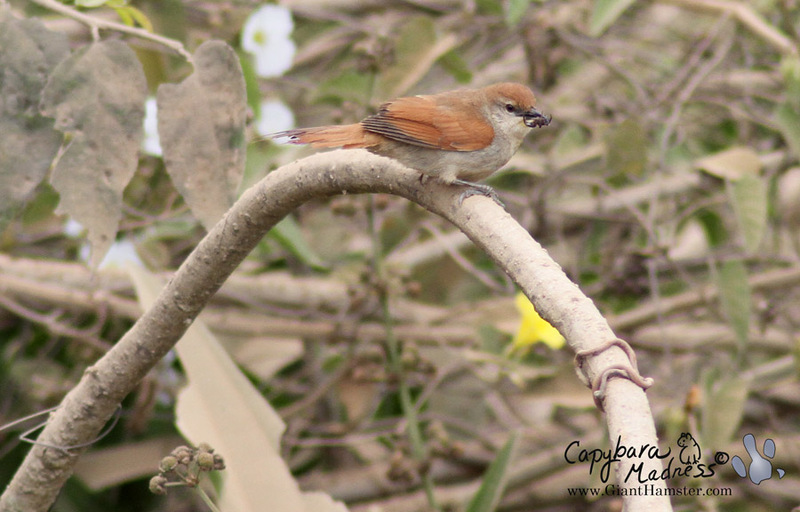 The male has a dark head. It appears that the female is screaming. 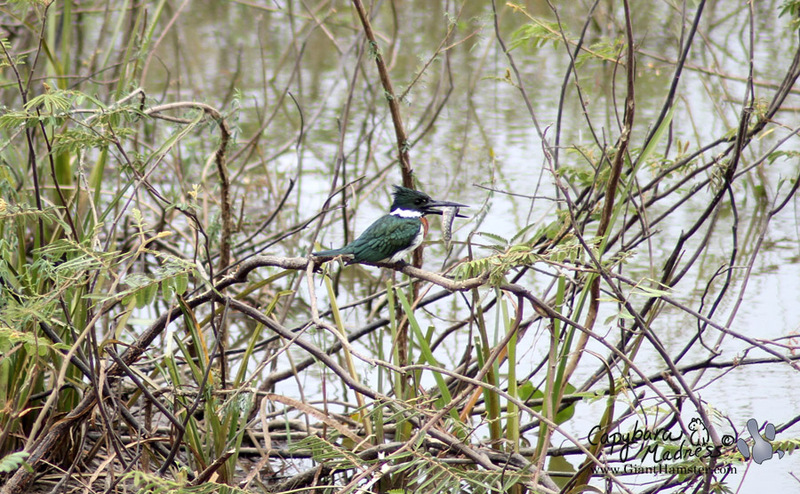 This is an Amazon kingfisher with a fish in its beak. Are you getting tired of the birds? 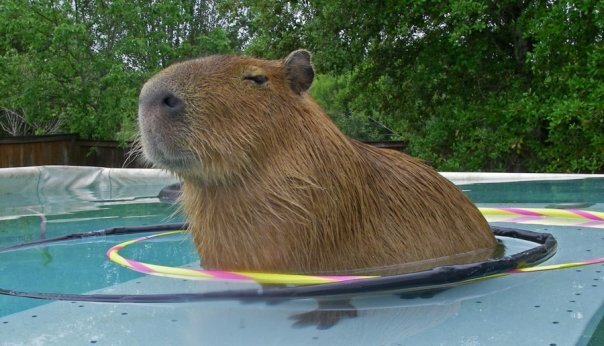 We’ll get back to capybaras pretty soon. I love these birds. They are not as pretty as adults though. 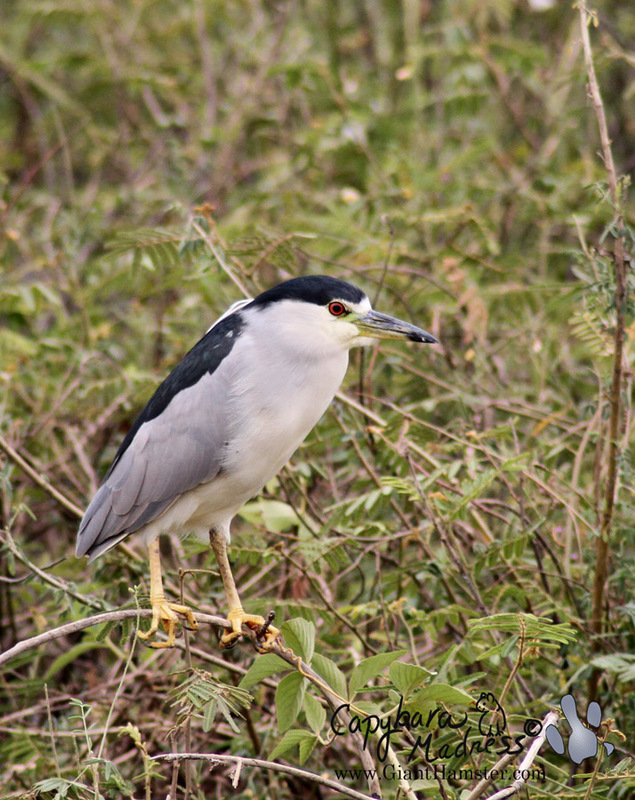 If you’ve been paying attention to this post, then you know that those are two black crowned night herons. But who cares? 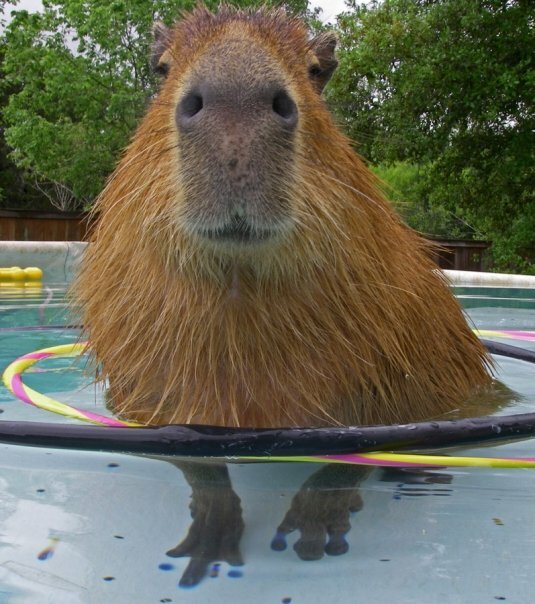 Look how cute that capy is peeking out from behind those vines. This is an adult male, as you can see by the prominent morillo on his nose. 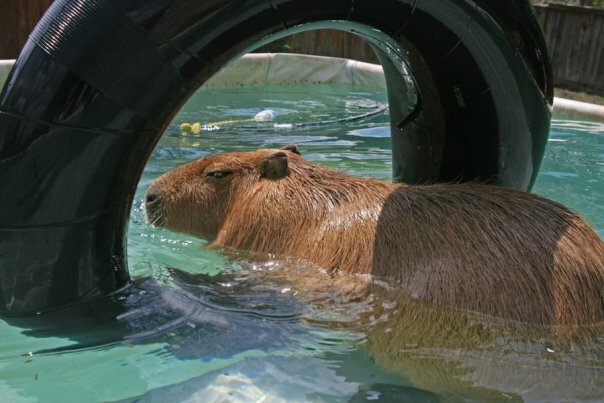 This is a female capybara from the same band as the male in the photo above. Notice how red they are. 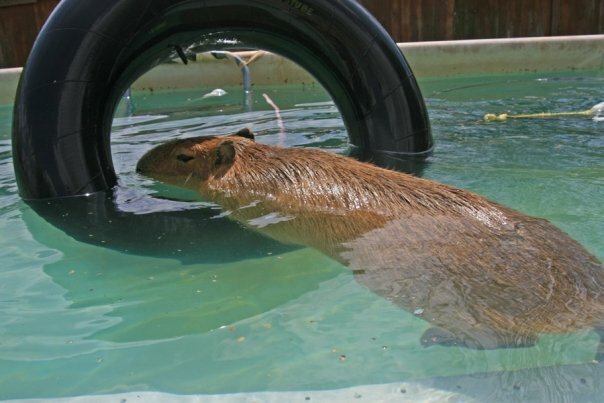 They are a much darker, redder color than Garibaldi Rous. 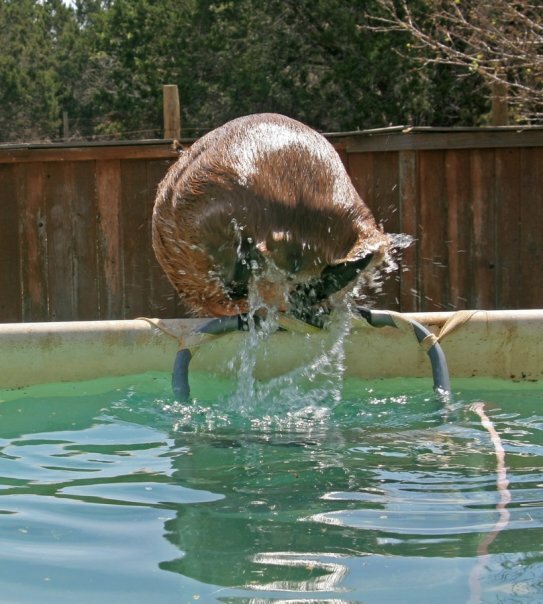 Of course, this one also looks like she is wet. 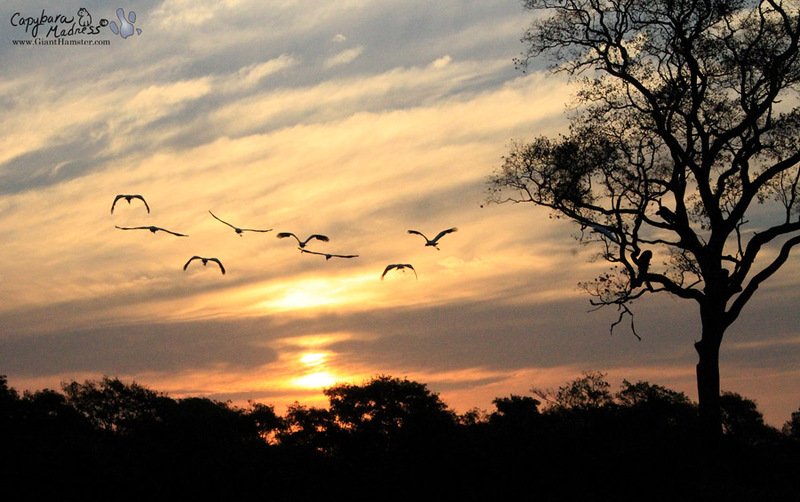 That’s it for the first installment of my Pantanal Nature tour. Let me know if this is too many birds and I’ll try to cut back in the next post. Magnificent! I am so happy that you have seen all these nice animals! 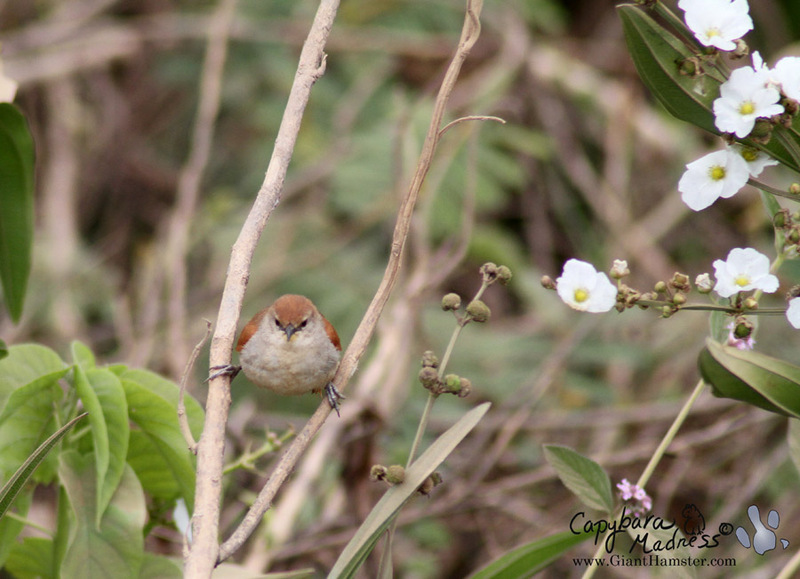 Great photos, certainly not too many birds! I love Hyacinth Macaws. I can’t imagine what a sight it was when they all flew over. I love the birds! I’m hoping to see a nice goose or some hens, though. Those are the birds I like the best. BEAUTIFUL photos! I can’t wait to see your next post! Oh! Don’t censure your photos, please! I love them ALL! 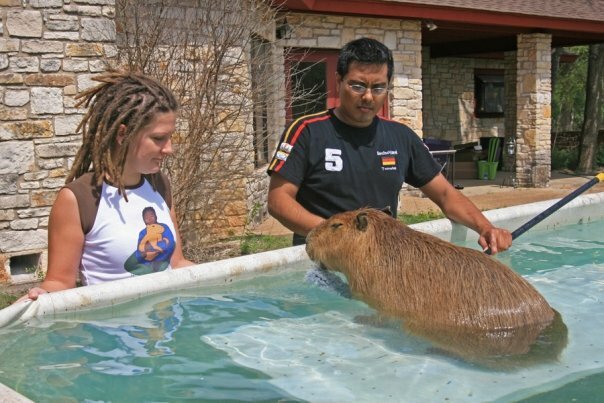 Gari is so good, sharing his home with all his co-pets and local wildlife, that it is natural to see his relatives with THEIR co-dwellers – even when capys aren’t in the photos, they give a feel for the capys’ home & neighborhood. ☺ Plus, I love birds. All kinds. 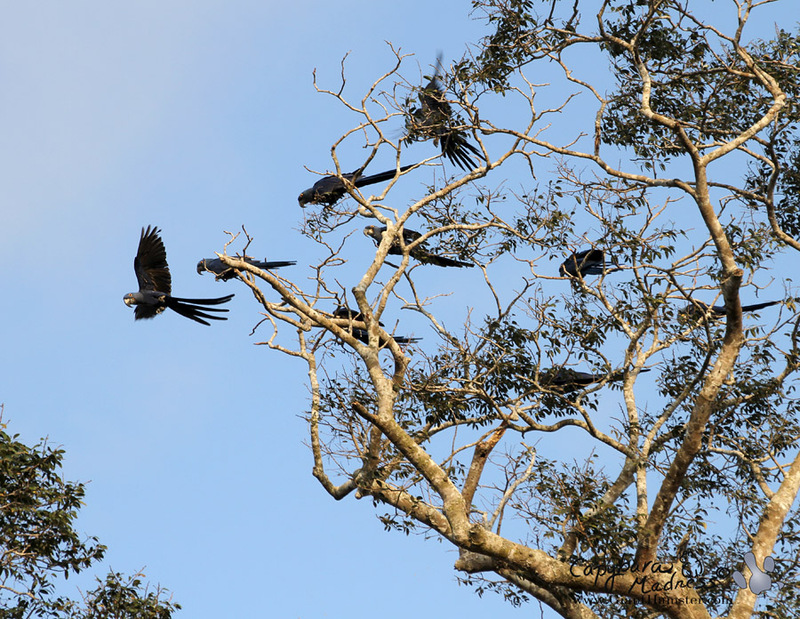 Some of my favorites to watch in my neighborhood are the Gray Pelicans, the Ospreys, and both the Black and Turkey Vultures…the Southern Screamers would fit right in! It’s neat, I think, to see how so many things in this world are “the same but different”. you are a great at photos, what kind of camera did you use? Love the bird pics. what a wonderful trip you must have had!! looking fwd. to the rest of the blogs. 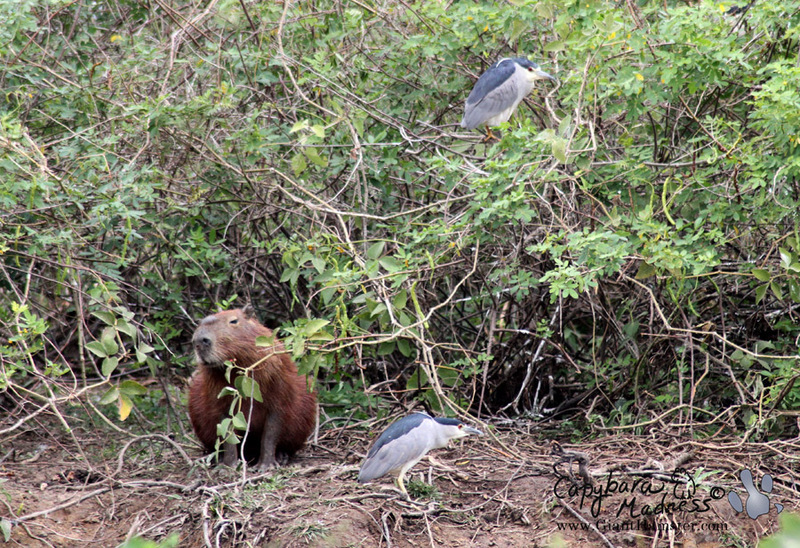 Capys and birds – outstanding! Keep them coming. Loved every part of your trip. Makes me feel I was on it with you. Pictures are gorgeous. Thanks for sharing. Look forward or next. Look forward to next I should have said. A very enjoyable post and I loved all of the pictures! Thank you for sharing. The birds are wonderful! Thank you for sharing your trip with us!! Wow this was fantastic Melanie!!! Loved all the birds, would love to see more! Great post… Can’t wait for the next one! Luv to see ANY animals! Amazing photos!